Model N-35 Twin with fixed seat fitted with rear end cover (to protect moving mechanical parts). Thanks to its lighter weight (160 kg) and its fixed seat, fitted with a rear end cover (designed to protect moving mechanical parts), it’s the closest you can get with a rental kart to a racing kart. 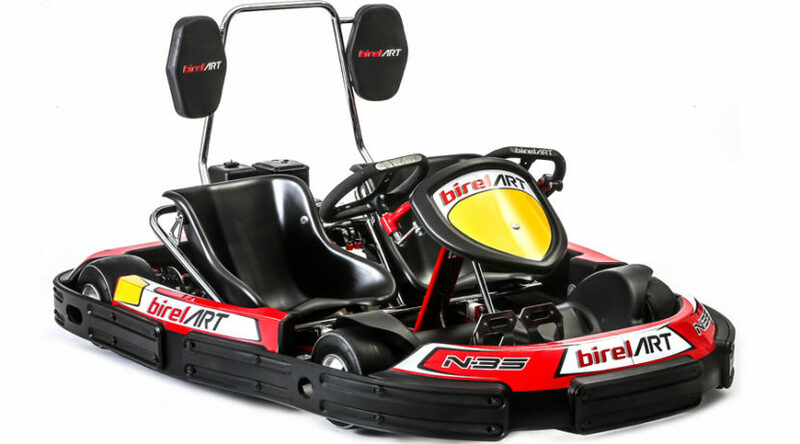 Thanks to its features, the N35 Twin model is the most suitable rental kart to use on both outdoor or indoor tracks. The kart has a 5-litre Honda fuel tank.